The last marker on our list is the very popular Empire Mini GS. The Empire products are known for quality and are getting extremely good reviews from users. This model is based on the legendary Mini model but the Empire team has taken the old model and transformed it into a more versatile and efficient marker called Mini GS. 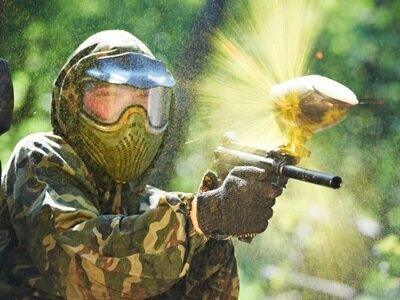 This marker is famous for its success on the paintball field and it comes with an improved grip for comfort. There are a lot of upgrades and new features in the Mini GS that highlight the technology that Empire proudly stand behind. This marker is basically packed with awesome features like the On/Off ASA, along with new rubber skin and the list goes on and on. The original model was extremely popular and receiving raging reviews among advanced speed-ball fanatics. Now, with the new improved Mini GS, the Empire team has taken the old Mini to a whole new level and the result is the Mini GS. Below you will find more detailed information about the special features, performance and the list of upgrades you can do to make this marker fit your gaming style and needs. This marker is straight out-of-the-box at around 275FPS and after few minutes of warm-up you should be able to get it to around 293FPS. It is an extremely easy task to modify the velocity just by using an Allen wrench tool. You won’t find many markers, at this price that will provide you with consistent FPS! 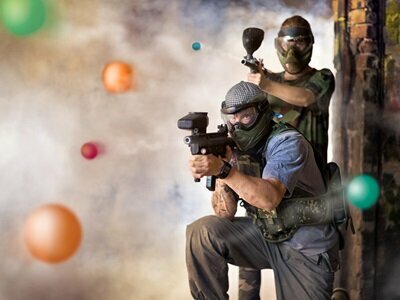 Once you head out to the paintball field, you can expect to fire around 11 pods from the 45/4500 HPA tank, that’s around 110000 paintballs in total until your tank runs empty. There is hardly any kick-back after each shot and to give you an idea, you can expect less the one inch of kickback. Moreover, with minimal kick-back, the Mini GS is also extremely quiet. Interestingly, the Mini GS is actually quieter than both Axe and Axe Pro from Empire. This marker will perform extremely consistent no matter if you are left or right handed. This is one of the markers that is hard to describe in words how it is to handle the marker. You will have to try it for yourself. Once you get the Mini GS, you will love it on the spot because it will perform just like many of the expensive sophisticated ultra-guns available. It has received positive overall reviews and users seem to favor this marker over many of its competitors. It will fit beautifully in your hand and it won’t take you long to master it. It’s amazing to handle the rubber grips as they provide super comfort and will never slip out of your hands during action play on the field. It’s very quiet and you should be able to easily sneak up on your opponents and fire-off without making hardly any noise. As I said above, there is hardly any learning curve in operating this marker. All there is to it is around 10 minutes of setup by configuring the LED indicators to your desired playing style and you are all set! 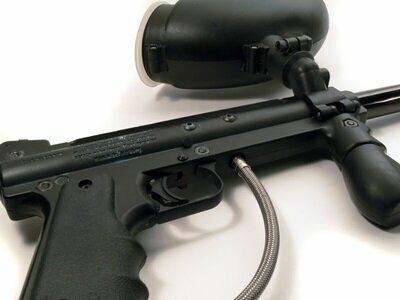 This marker features an innovative micro-switch trigger. Every time you pull the trigger, the trigger will make a distinctive click. That way, you will be able to get the feel of every shot you make and it will become easier to master every shot. If you have used the Axe or Axe Pro you will already be familiar with this awesome feature. The trigger also includes tournament regulation setup such as PSP and Mill-Sim. This is a highly appreciated feature of the Mini GS, the new On/Off ASA function and is a fantastic improvement over the original Mini simply for the fact that it is an extremely easy task to remove the tank. By incorporating the new On/Off ASA you are able to easily release the air from the tank. This is the exact same feature used in the Empire Vanquish but with the Mini GS, you will only pay fraction of the cost! This On/Off ASA feature is a fantastic addition and really one of the best features of this marker and makes it a simple process to remove or attach the tank. 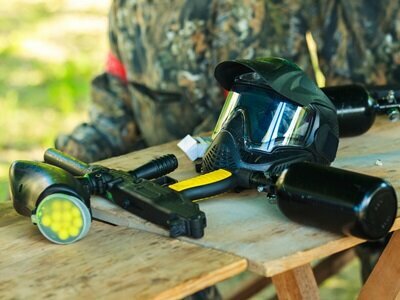 Evidently, maintenance is one of the most important factors of playing paintball. This is the factor that will determine your accuracy, performance and consistency on the field. The maintenance procedure on the Mini GS will take some time and there is a learning curve to it. Beginners should not rush in and dissemble the marker. It is important to take your time and educate yourself about the cleaning and maintenance process. The Mini GS has a lot of small pieces and bolts that you will need to take out and organize on your working table. There are plenty of YouTube tutorials on how to properly maintain this marker and with practice you will master it eventually. It’s extremely important to pay close attention to maintenance. The good news is that in order properly clean this marker, you will only have to take out the bolt. You won’t find many negative reviews or reports about the Mini GS model and this is one of the best budget-friendly marker that you can get your hands on. 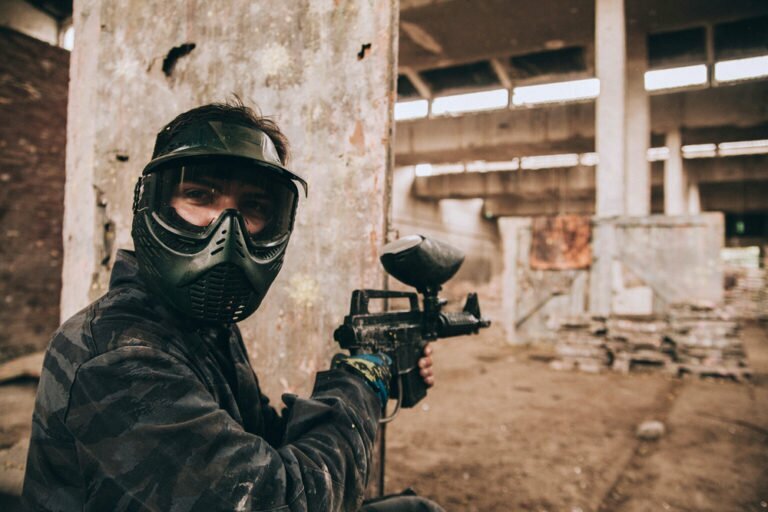 This marker is ideal for both entry level and seasoned paintball players. The only negative thing that is worth mentioning is how complicated and frustrating (for beginners) it can turn out to clean and maintain this marker. However, there are variety of videos and step-by-step instruction available online and you can find these information with a simple Google search. 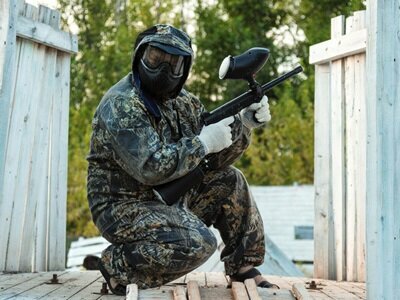 The maintenance procedure is not a big deal for experienced paintball users. It’s just all about practice and education. It might seem like a daunting task to clean it but once you master it, you will be able to thoroughly clean it in less than 7 minutes. For those of you experienced players, who are looking for a marker with all the newest features, then this marker might be your perfect choice. 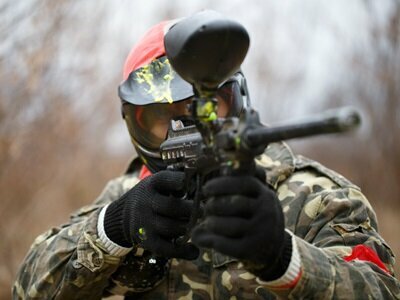 Also, if you are making your first steps in the paintball world, this gun will become extremely useful to you. Overall, there won’t be any other marker on the market that can beat the Mini GS at this price!